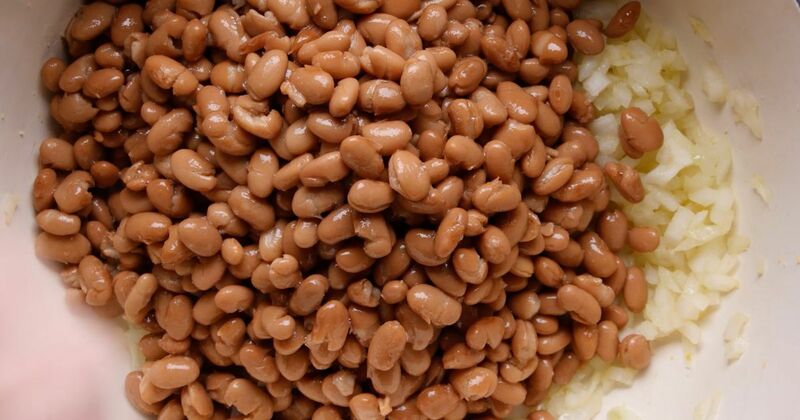 Southern-style brown beans, or pinto beans, are traditionally served with ham hock, but if purchasing and cooking an entire hock sounds slightly too intimidating or time-consuming, this version is for you! It’s simple and delivers a hearty southern meal every time. Using canned beans instead of dried ones means no soaking overnight, and the shredded pork adds all the flavor and heartiness you’re after without any of the hassle. 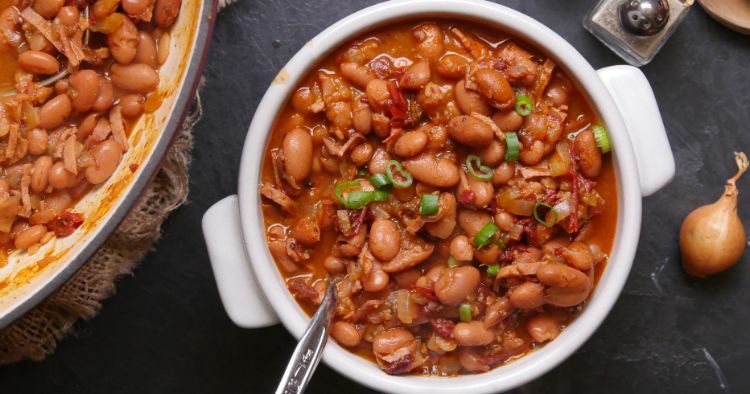 This recipe could also work in a slow-cooker, just be sure that it’s in a location safe from pets, partners, or roommates who might be tempted by the intoxicating aroma of savory pork and spicy brown beans. Add the oil, onion, and garlic to a large pot over a medium heat and sauté until fragrant, about three minutes. Add the remaining ingredients, and reduce the heat to medium-low. Simmer approximately three hours, stirring at half-hour increments. You'll know its done when the mixture is thick and everything is tender.